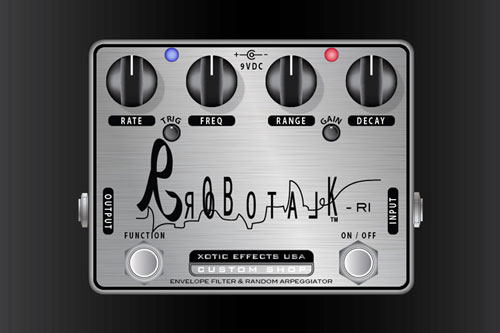 Robotalk-RI, Wah-Wah/Auto Wah/Filter for Guitar from Xotic Effects. 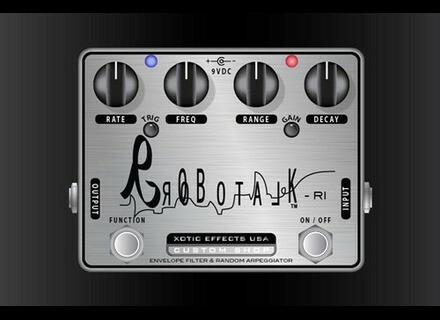 After much R&D, according to its team, the Xotic Effects Custom Shop has re-engineered and revitalized the original Robotalk pedal. It is a dynamic envelope filter with an arpeggiator for the guitarist and bass player alike. It the original Robotalk, voiced for a more musical envelope effect, each side is voiced differently and can be played independent of each other. You can also engage both channels for some added depth. The reissue is available now, but due to the complexity of the new Custom Shop Robotalk (RT1-RI), initial builds will be limited to only 240 units. Black Cat Pedals Bee Buzz Black Cat Pedals announces the Black Cat Bee Buzz, a dual channel fuzz/boost pedal based on the original Roland Bee Baa. Carvin V3MC Carvin has redesigned the Micro Series V3MC combo, with the same LED backlighting found on the V3M micro amp and the V3L head. Fender Road Worn Player Telecaster Review Without any offense to purists who get a nervous breakdown every time they discover the slightest scratch on their guitar, the Road Worn Series instruments have been intentionally damaged: the varnish has been scratched and flaked off, the neck has been worn down by an artificial process instead of by natural aging — all in order to give them a retro look!